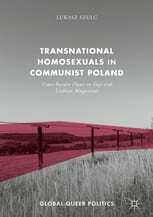 Beyond Borders: Sexuality and Cold War: On Łukasz Szulc’s book ‘Transnational Homosexuals in Communist Poland: Cross-Borders Flows in Gay and Lesbian Magazines’. Transnational Homosexuals in Communist Poland: Cross-Borders Flaws in Gay and Lesbian Magazines. Pelgrave, London 2017. 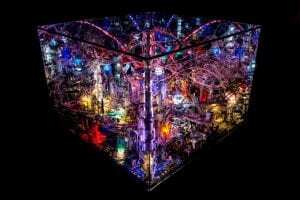 Łukasz Szulc’s Transnational Homosexuals in Communist Poland is not only about Poland and not only about Communism. It is a carefully executed study on the gay and lesbian movement in the so-called Eastern Bloc, it is a thought-provoking analysis of somehow mythical thinking of what is the “East,” and what kind of myths of the Central and Eastern Europe are particularly harmful, such as the myth of homogeneity; myth of the essence of the region; the teleological myth of good transition from communism into better kind of democracy and the right kind of ethics. Łukasz Szulc discussed all the just mentioned myths as based on one, more general myth of separation of the CEE countries from the West. Łukasz deconstructs those myths taking into account the stories of the emerging queer culture. This book is also an interesting debate on what “queer” means today and how it shapes our global identity and how those identities are used in geopolitical discourses, directly linked to the actual political decisions. The book actually starts with claiming that “we live in the age of ‘queer wars’”, where the issues of body politics, namely position on abortion, divorce and homosexuality divide the countries and people.